"Sonically, one of the one of the best recordings ever made by a jazz singer with a small acoustic ensemble." Stereophile Magazine Record to Die For! Patricia Barber's Modern Cool is an audiophile staple. Its enduring ubiquity is testament to its sound quality and general musical appeal,In terms of quality and stupendous packaging, Premonition Records continues to outdo almost everyone in the deluxe-reissue game. , the 180gm LPs are opulent and sonically rich with exquisite detail in the higher frequencies, a wide, transparent soundstage, and a convincing rumble in the bass end. Patricia Barber's Modern Cool (Premonition Records, 1998) was the recording that made Barber an international jazz star. On the initial tour for this album, Barber played a four night stand at The Jazz Standard in New York where she was heard by Bruce Lundvall of Blue Note Records. This led to a string of Barber recordings for both Premonition and Blue Note, worldwide touring and unapologetic critical acclaim from which Barber never looked back. Audiophiles were well aware of Barber from her 1994 Premonition recording Cafe Blue. Sonically, Modern Cool copied the Cafe Blue playbook: same recording studio, engineer, and recording approach. Musically, Barber added trumpeter Dave Douglas to her stellar working band and showcased her original compositions more than on any previous recording. Like Cafe Blue, Modern Cool has been released in multiple formats, including 2013's Grammy winning Surround Sound edition. This LP version is newly remastered by the legendary Doug Sax from the original analog mixes and is sure to be a strong addition to the Barber audiophile oeuvre. 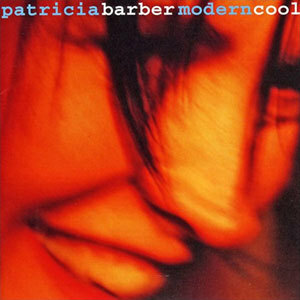 Patricia Barber's "Modern Cool" will most certainly be included in numerous polls and Top 10 lists for 1998. Patricia Barber is exhibiting all the characteristics of becoming a major force in the jazz community. The accolades have been substantial and overwhelming. Vocalist and composer Patricia Barber is a hip, sleek and cunning stylist who demonstrates impeccable intonation, phrasing and nuance. This is another in Premonition Records' recent series of vinyl releases which now includes four Patricia Barber albums and one Von Freeman album. This one was mastered for vinyl by the legendary Doug Sax, pressed by Quality Record Pressings, the new standard in high end audiophile pressing plants and comes in a deluxe, heavy cardboard jacket. Modern Cool earned a coveted 5-star review from DownBeat and was awarded a 2013 Grammy Award for Best Surround Sound Album. Modern Cool was recorded at Chicago Recording Company in early 1998. For many, Modern Cool is the record that brought Patricia Barber to their attention. Its success with critics and jazz fans led Blue Note Records to enter into a "joint imprint" production deal with Premonition Records, the first time they had ever done such a deal in their storied history. Done on the Sony 3348, a 32-track (16/48) digital tape recorder, and mixed down to 2-track, half-inch tape with Dolby SR, this was Barber's first album of mostly original material. Engineer Jim Anderson utilized mostly tube microphones (Brauner and Neumann) and John Hardy M-1 preamps, whose signal was patched to the tape bypassing the console. Barber offers another strong blending of material as on Cafe Blue but heavier on the originals. Modern Cool features the same band as on Cafe Blue with the addition of trumpet star Dave Douglas. Highlights include Barber's originals "Touch of Trash," "Company," and "Winter," her version of The Doors "Light My Fire" and her setting of an E.E. Cummings poem. Modern Cool was monumental when it was first released back in 1998. Downbeat gave it 5 stars - saying "Sonically, one of the one of the best recordings ever made by a jazz singer with a small acoustic ensemble."